I’m not an expert on horror. I like some old flicks, but I’ve never been into the buckets-of-blood stuff and human fear and misery aren’t high on my list of things I find entertaining. Nevertheless, I was pondering a few ideas this Halloween about making horror work in games, and thought they might be of use, especially to folks who haven’t run too many games. None of these items are mechanics-based, just things to use while narrating/refereeing a game. Game mechanics are usually pretty cut-and-dry. Roll d20, if it’s above X you hit for damage. If not, you miss. For most games, and most combats, it works well enough to leave it at that. For a horror game, you probably want to embellish. For a game to be scary, you have to make it visceral and to some extent personal for the players, and you don’t have the same tricks that are available to authors (i.e. complete control of the action and tempo) and filmmakers (i.e. mood lighting, quick cuts, etc.). Language is one way to do this. “You take off across the sands, between the advancing sand things, and feel them crash behind you, as they attempt to close the gaps. They fail, though you can feel the sand on your necks. As you run, you can feel the sand shifting beneath your feet, as though somebody was trying to pull a carpet from under them, and you can almost sense the swell of golden sands behind you, like a wave preparing to crest and then bash you into the dust. Hopefully, that made the game more fun for the players, and leaves them wondering if the encounter is really over (and if you’re one of those players … it might not be). You can do something similar with horror games – narrate things, especially minor things that aren’t really important, for frightening effect. Describe the way things feel, sound and smell, especially if they are robbed of their sight. Linger on the faces of the people with whom they deal – provide clues to what is happening in their minds that can be read in multiple ways. Most role playing games are about conflict, fighting monsters (of some sort) and exploring the unknown. The good news – these are all elements of horror. The bad news – you use these elements every dang time you play. If you walked into a dark alley and run into a beholder, you would be traumatized. For your players, it just means it’s game night. Big deal. So – you need to find a way to make it count. The loss for the characters has to be more than a loss of gold or experience points. All those undead monsters that do level drain are one way to scare players, but you can also put other things in the pot that mean something to the characters, and I mean you need to put them in the pot, not the players themselves. Threaten something that is important to the character because it is important to the player playing the character. A player who gets off on combat but doesn’t give a rip about his character’s fictional family is not going to react to his fictional parents being threatened by something horrible. Losing a hand, however, might really bug him. Know your players, figure out what will bother them, what will cause their stomachs to knot, and then use it against them. At least one player and character, maybe more but possibly not all, must be threatened with a loss that will drive them through the game. I just told you a minute ago to be descriptive. Not I’m going to tell you to keep silent. Silence in a pen & paper game is the equivalence of darkness in a movie. The players should be groping about, certain that something terrible is happening, but uncertain as to exactly why or how or when. I use the word “or” advisedly. Don’t keep them in the dark about everything. Keep one thing – why, how, or when – completely secret. They’ll never know until it’s too late. Have one of those things obscured but discover-able. The third thing should be evident early in the game. For example – at midnight, the village of Vark will cease to be. How? It will be swallowed into Hell due to the actions of one person, the local butcher. Why? They’ll never know … but you know it is because of an otherwise innocent act he will perform for an aggrieved widow. All the players will know is that he is the key, and they’ll have to keep on guard to stop terrible things from happening. This is a tip from Alfred Hitchcock, as regards to making thrillers. I think it is applicable to games, and it requires you to do something you normally do not do. In his interviews with Truffaut, Hitchcock describes the difference between building tension and using surprise. He uses the example of two people sitting at a table talking. A time bomb is beneath the table. If you want surprise and shock, you don’t let the audience know about the bomb. All of a sudden, there is an explosion. The audience is surprised for a moment, and that is all. If you want tension, you must let them know the bomb is under the table, and is about the go off. They’re now sweating it out, waiting to discover if the characters will find the bomb, or otherwise escape the danger. With this technique, you can keep the audience tensed up for a few minutes rather than for just a split second. You can find a good example of this in his film Rope, as well as in a sequence in the movie Sabotage. In a game, you might pull this off by allowing the players, through their characters, witness a dangerous scene without being able to do anything about it. This can get old, though, and takes way a crucial element of the fun of these games, which is that players have a hand in the action. Another way is to let the players peek into the mechanics of the game. Let them know how much time they have to stop something, and then take them through the process of stopping it. For example – to defuse the bomb that’s about to go off requires three rolls of the dice. With each roll, the players get closer to success or death. To make it even more tense, let them know that they dice they must roll are hidden around the room. They have one minute to find them and roll them. Or present them with three dice of different colors. One grants a +5 bonus to the roll, one a -5 penalty and one no bonus or penalty. Give them a minute in which to decide and roll a dice. Here’s something I’ve used in my games. It helps if you have a group of friends playing who want the game to be fun and successful, but with strangers you might be able to bribe them to make it work. The others now suspect their pal knows something they don’t, and they suspect that something is happening beneath their very noses that is dangerous and THEY CANNOT SEE IT! Even worse, their so-called buddy knows and isn’t saying anything. Isn’t doing anything. WHY ISN’T HE DOING SOMETHING TO WARN US?! You get the idea. It’s a cheap trick and only effective when used sparingly. It helps with creating that “darkness” I mentioned earlier. Not the “50 feet of” variety, but allow the players to make choices that get them deeper into the horror. With each choice, they are presented with new choices, but those new choices need to get incrementally worse. Since this is a horror game, there doesn’t ever need to be a perfectly pure, good choice to make. These choices, by the way, also help bring about the recriminations among the characters/players that fuel many horror movies. The team has to stick together to survive, but it gets harder and harder to do when those other idiots keep making you do things you didn’t want to do and which keep making things worse. You don’t want to end friendships, of course, but a little intra-party tension can help make the game work. Found at Diversions of the Groovy Kind, natch! 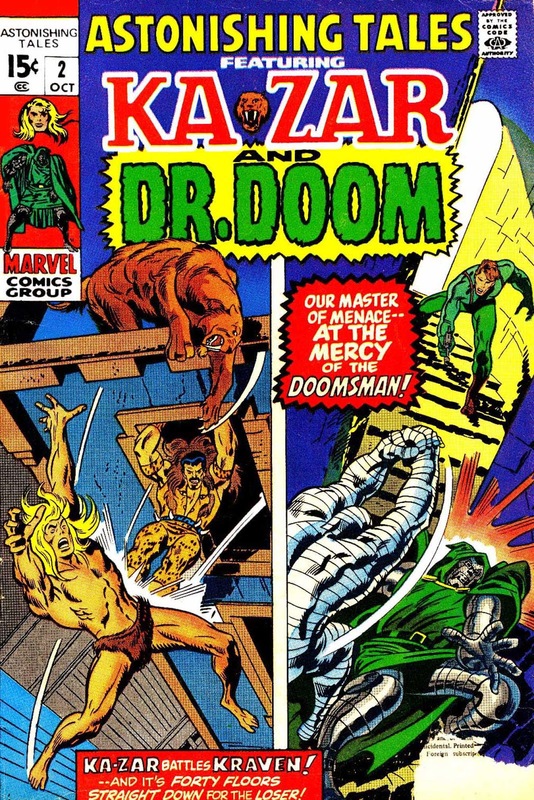 You know Ka-Zar is not actually going to die, of course (though Doom might get punched in the face by a mummy) … but you don’t know how things will actually play out in the comic book. I still dig those covers, and they still make me want to read the book to see how the cover is lying to me. In our case, you start the game by casually mentioning that one of the characters is going to die in this session, you’re sure of it. This puts everyone on edge. It might also be a complete lie, but the point is to get them worried. I’ve mentioned this before, but I’ll say it again. If you want to run a Lovecraftian horror game, your worst move is probably pulling Call of Cthulhu out and openly running a session of it for the players. This isn’t a dig against the game, but rather a commentary on how Lovecraft (and Poe, and many other horror writers) wrote their books. 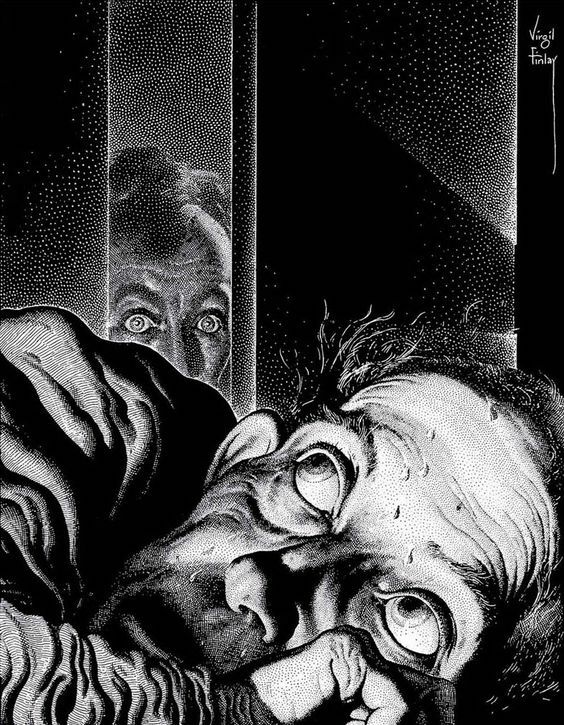 Those authors wrote stories about how unsuspecting, normal people suddenly found their way into supernatural situations they could not escape without giving something up (sanity, parts of their body, a loved one, etc.). If you’re playing CoC, the one thing the players know (or think they know) is that they’re going to run into a Lovecraftian monstrosity. Thus, the game defeats the genre. I’ve suggested that pulling out the old James Bond RPG would be a great way to run a Lovecraft scenario. Everyone is primed for espionage, and then something odd happens and before they know, it’s all spiraling out of control. Let’s use another example from Hitchcock on how to sucker people in. When people went to see Psycho for the first time (and my daughter and her friend recently did this, with no foreknowledge of the movie, so it still works), they saw a movie about a woman stealing money and driving to a hotel to allude the authorities. The woman was the main character. She’s on the posters. The movie, obviously, is about what happens to this woman. And then, a few minutes in, she’s brutally murdered and never heard from again. The old switcheroo. Now the audience doesn’t know what the hell is happening, which is exactly the frame of mind Hitchcock wanted them in to sit through the rest of the movie. Take away that which is normal and safe and expected … and in the case of fantasy games, the routine of the dungeon crawl, as weird and abnormal as it would be in real life, is normal and safe and expected. The best way to inflict horror upon the players is to make sure they don’t know what they’re in for. Give them what appears to be a normal dungeon crawl, and let it morph, slowly at first, and then more rapidly, into a horror film. Or, how about capping off a dungeon crawl with a visit to town to buy supplies which turns into something horrible. The game seems to be bog standard. The players are expecting that the real game is the dungeon they’re going to delve back into after a quick jaunt to boring old town … and then everything goes horribly wrong. HAVE FUN TONIGHT YOU HALLOWEENIES! This is a notion I’ve had for a while, sort of simmering on the back burner. I caught an old episode of Hercules Legendary Journeys yesterday though, the one where he meets the Norse gods, and so I got to thinking about it again. What follows is a thumbnail sketch of what might make for an interesting campaign that blends D&D-esque fantasy with Gamma World-esque post-apocalyptic gaming. 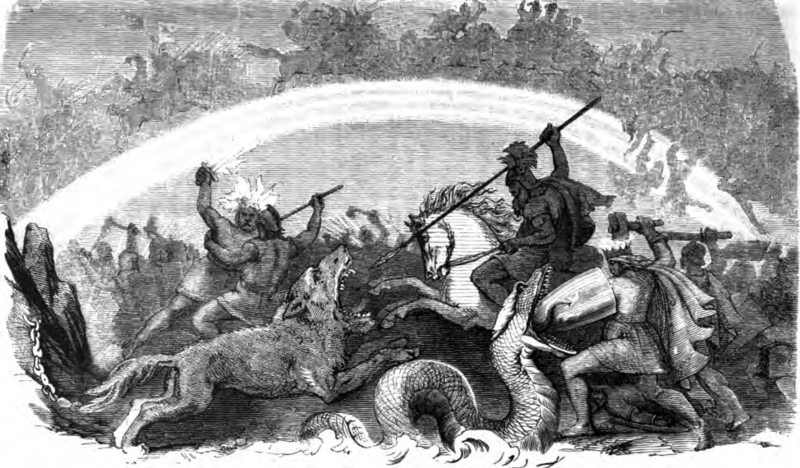 If you’ve done any reading of the Norse myths, you are undoubtedly aware of Ragnarok – the twilight of the gods. At Ragnarok, Loki leads the giants and other bad guys against the gods, and most of the major “characters” end up dead – Thor and the Midgard serpent kill one another, Odin and Frigga are swallowed by Fenris and he is in turn killed, Loki and Heimdall kill one another. Good stuff, and somewhat unique in western mythology I think. Heck, some obscure movie studio is apparently making a movie about it. What I always found cool about Ragnarok, though, is that although it was the end of some of the gods and results in a flood that wipes out most of humanity, it is not “The End”. There is a post-Ragnarok world just waiting to be explored and conquered! From memory – so please excuse any omissions or errors – Balder returns from Hel after Ragnarok to become the new king of the gods. I also remember that Thor’s sons, Magni and Modi, inherit their father’s hammer – presumably they take up where dad left off as protectors of man and god. In addition, two human beings managed to take shelter in Yggdrasil and were left to repopulate Midgard, so humans are still around. If we play around with the concept, we can maybe make a fun campaign out of it. On the fantasy side, we have the gods, and thus we have clerics and magic. We can also preserve at least some of the monsters of mythology – Norse mythology, of course, but monsters from other mythologies are welcome as well. Since we’re in a post-apocalyptic setting, we can also throw in all the original weirdness from D&D – green slime, bulettes, beholders, as well as monsters from post-apocalypse settings – maybe Magni and Modi travel around in a chariot pulled by spider-goats? 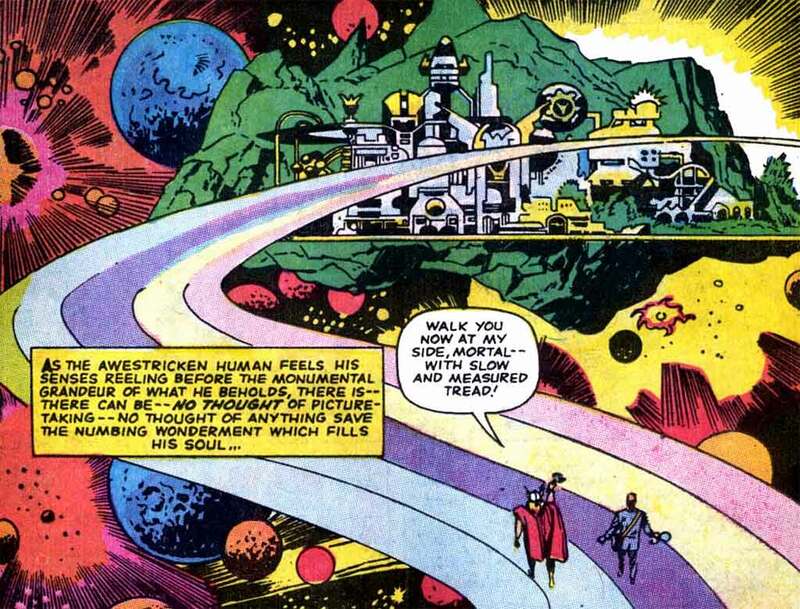 On the science side, we can borrow from Marvel comics and use an Asgard that is as much science as it is sorcery. Some of that technology was left behind on Midgard, perhaps, but even better stuff is hidden away in Asgard if only some high-level adventurers can figure out how to get to it. The remaining gods – maybe we can call them The New Gods – now dwell on Midgard with humanity (though a bit separated, as the gods always prefer to dwell in gated communities). Another option would be to set Ragnarok at some point in the near future, thus allowing modern technology to exist in the ruins of the world, ruins that are now visited by the primitive people who have established settlements close to, but not too close to, those ruins, to scavenge for supplies. The campaign can be set in post-apocalypse Scandinavia/Iceland/Greenland, or you could even use Minnesota. 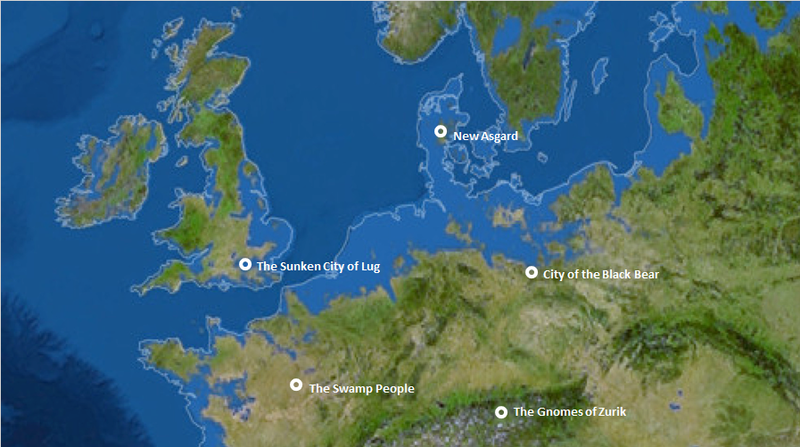 Since the world is flooded in Ragnarok, you can use some maps that show what the geography would look like with higher sea levels – that will keep things just different enough to fool the players for a while and give them the enjoyment of figuring out what world they’re exploring. New towns and cities have sprung up, blending the old and the new. The wilderness is haunted by mutants, worgs and the scattered remnants of the giant races. Perhaps the elves of Alfheim visit now and again – let them be grey elves and beautiful and judgmental – and some of the dwarves survived the apocalypse hidden away in their mountains – let them be duergar and foul and greedy. Above is a quick sketch of a campaign world, with the sunken city of Lug inhabited by mutant amphibious englishmen (use tritons to make it easy, or sahuagin to make it scary), the Swamp People of old Paris, with their giant frogs, the Gnomes of Zurik hiding away all that gold, the City of Black Bear, which can serve as a tent-pole mega-city-state with legions of warriors threatening more peaceful folk beyond, and of course New Asgard, where the gods and their servants dwell, and from which come the paladins of Balder to spread a new enlightenment among mankind. Here are a few ideas on incorporating magical (or at least powerful) words into the treasure tables in your game. All of these words are potential replacements for the venerable treasure map (which itself is a great piece of treasure). If you’re playing a game without treasure maps on the treasure list, you might need to reexamine your life choices. Or, you could just add it to the list of magic scrolls. “Fechtbuch” is a German word for a book that teaches warriors how to fight with word and illustrations. The fechtbuch concept can be used for all classes, of course, and it occurred to me last night that the value of one of these books could be to grant a character an XP bonus, maybe +5% or +10% at the most, while they are earning XP to gain their new level. When the new level is gained, the book is of no more use to them – they’ve learned everything they’re going to learn from it. The cursed version would do the opposite – a book written by a fool that makes true learning harder than it should be. Imagine trying to deal with a real hippopotamus after reading some nonsense in an old medieval bestiary. A password gained in one room might help one get past a trap or monster in another room, or even another dungeon. “Swordfish” is a classic from the Marx Brothers movie Horse Feathers, and who can forget “open sesame” (or “open sez me” if you’re a Popeye fan). Passwords can be mundane – as in a word spoken to guards to permit passage past them – or they can be magical, as in a word spoken to disarm a magic trap or lock. Perhaps every lock and trap has a mystic password given to it by its creator during the act of creation, and high level thieves have a knowledge of such passwords. While they use their picks and tools, they also whisper these words to the lock, hoping to find the one that opens it. The “cursed” version of this would be the word that causes bad things to happen, a’ la the infamous “bree-yark” in The Keep on the Borderlands. Secret words are not all that different from passwords, I suppose, but with them the power of the word is definitely magical. Secret words work on living creatures, including non-sentient creatures. The words are tied to a particular type of creature and they have a single effect. The word can be used one or two or three times before it loses its power. The effects of a secret word should be non-offensive, and could include making the creature friendly, stopping a charging or pursuing creature in its tracks, or undoing a special attack or defense of the monster (such as “turning off” a medusa’s petrifying gaze) for a short period of time. The mystical word “Nee” comes immediately to mind. True names are not terribly different from secret words, though they are potentially more powerful. The idea is that every creature from beyond the mortal realm, demons, devils, demodands, angels, elementals, etc., has a secret true name that permits the speaker control over them. The true name should probably be treated as a spell – thus once spoken, it is forgotten. Otherwise, you’re giving an adventurer a pet monster to sic on his enemies, and that’s a bit more than any adventurer should get. The word, when spoken to its owner, could act as a command, suggestion or geas spell – whatever makes the GM comfortable. The true name can be used in a summoning spell to bring that specific creature to you (rather than pot luck) and put it under control. If you know the true name but don’t know the owner, a GM could give a flat 1% chance that the creature you’re speaking to is the owner of the true name you have learned. After all, fantasy stories and fairy tales are full of such odd coincidences. Speaking the true name to the wrong creature, however, might be disastrous – the creature will know what you were trying to do and may resent it. 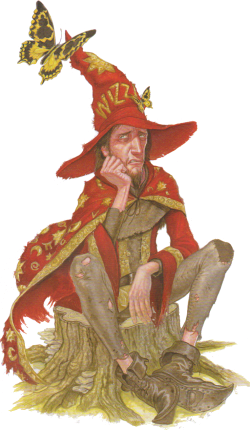 A good example of a true name is Rumpelstiltskin. Words of power take things up yet another level. These words are, in effect, the power word spells (and maybe a few others, such as control weather) in a form that anyone can use. Again, you are allowed one use to a customer, and perhaps that use comes with ramifications, as the keepers of cosmic order do not care to have things disordered by irresponsible adventurers. Conceptually, I’m thinking of these being like the powerful spell that lodged itself in the head of Terry Pratchett’s magic-user Rincewind. Have the word of power displace a spell that a character can normally prepare (even clerics) or a skill or maneuver a non-spellcaster can normally use. 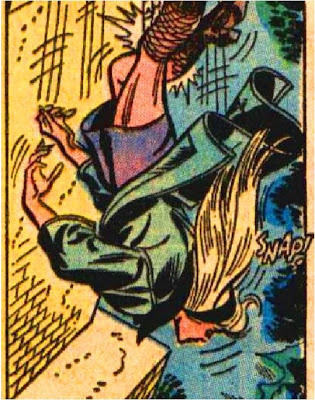 A thief, for example, learns the power word kill spell, but while it’s in her head she cannot move silently, hide in shadows or pick pockets, making her a very effective murderer, but a lousy thief. I was recently thinking about self-awareness. How many people have you known who were not nearly as charismatic or intelligent as they thought they were? Their failings seem obvious, but are blissfully unaware of them. I thought that this might offer a fun and interesting way for veteran players to liven up their old games. In most fantasy games, characters have ability scores. These scores are rolled by the player and known to the player. This knowledge plays a role in the player’s choice of their character’s class or career, and it influences their actions in the game. But what if players did not know their character’s ability scores? Might make for an interesting game, no? It all hinges, to use Blood & Treasure as an example, on wisdom. Wisdom deals with awareness, not only of one’s surroundings, but of oneself. A character with even average wisdom should be able to gauge how intelligent and charismatic they are … and how wise they are. The wise man knows what he knows not, so to speak. Characters with low wisdom, on the other hand, assume natural abilities they do not actually have. If wisdom is low enough, they may even be unaware of their physical limitations. A foolish man can talk himself into anything, after all. Here’s the idea – a player rolls his or her ability scores with their eyes closed. The GM writes them down. If you’re rolling ability scores in order, all the better. If not, the player can decide which score gets the highest roll, then the next highest, and so on. There will be some clues if you’re doing it this way, but no system is perfect. In all cases, the player does not know his or her character’s wisdom score unless it is 13 or higher. If lower than 13, roll a dice – on a 1-3 they think it’s average and on a 4-6 they think it is high. If the character’s Wisdom score is 13 or higher, the player gets to know all of her ability scores. If the character’s Wisdom score is 9 or higher, the player gets to know his physical ability scores and either his intelligence or charisma score (his choice). The mystery score is believed to be high. 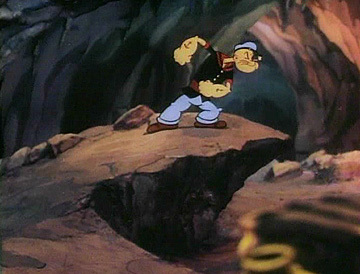 If the character’s Wisdom score is 6 to 8, they get to know their physical ability scores, but not their mental scores. You just tell them that their intelligence and charisma are high and leave it at that, regardless of the actual score. If the character’s Wisdom score is 3 to 5, they don’t know any of their ability scores, but are simply told that they are all high, again, regardless of the actual scores. Now, this creates a certain difficulty, as classes often have ability score requirements for entry. You could tell the player that their character, who they think has a high intelligence, cannot cut it as a magic-user, of course, but then the player should know they have an intelligence lower than 9. 1) If they pick a class for which they cannot qualify, they instead become a wash-out and end up as a fighter or thief (assuming they can qualify for those classes). They might still act like a wizard or priest, but they won’t be and they’ll know it and probably resent the hell out of those who actually did enter the class of their choice. 2) Another way to go is to permit them entry into the class with lower scores, and apply an XP penalty to their advancement. Maybe a -10% for every score that isn’t up to muster. These are characters who try really hard, but it takes them forever to get the hang of things. 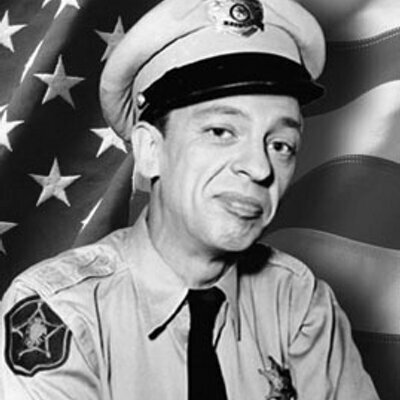 The idea here is to produce Barney Fifes in your game – characters who have to get in over their heads a few times before they slowly figure out their limitations. Characters who insist they should try to decipher the magic rune because they have the highest intelligence, even though their intelligence is actually a ‘6’. Characters who bumble and stumble a bit, just like we do in real life. Depending on what style of fantasy campaign you are designing, merchants can be a problem. 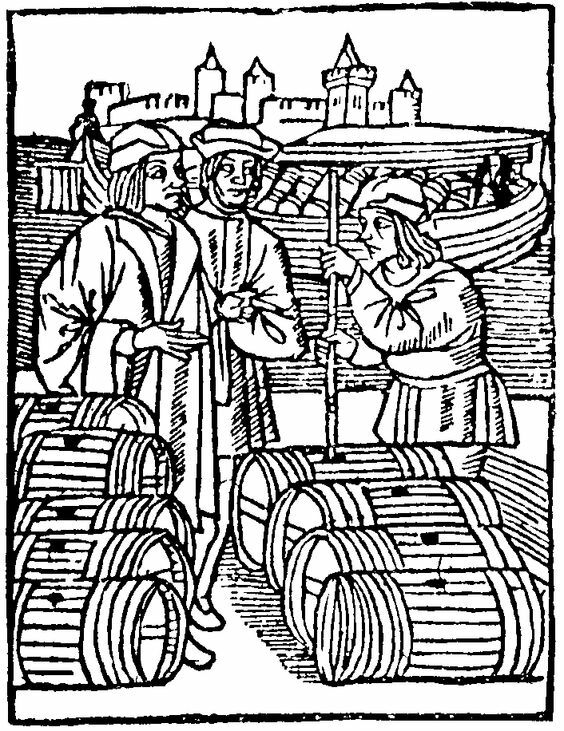 In a medieval milieu, they link villages, towns and cities together, providing important lines of communication and making items cheaper by their trade. They make maps and charts and make travel less dangerous and less mysterious. This is fine in a reality-based campaign, of course, but can present problems with a fantasy campaign. On the other hand, merchants and their travails can be a powerful ally in building a fairy tale world of hundreds of small kingdoms, dangerous, mysterious wilderlands and, in the true Gygaxian spirit, unrealistically expensive equipment if you make them few and far between. The real world is one in which trade may be about as old as war, or possibly older than organized warfare. In my research into the prehistoric world (i.e. pre-writing, pre-Bronze Age), I was amazed to find that stone beads manufactured in India/Pakistan had found there way at least as far as the Balkans, and that trade between groups over long distances was not terribly rare. Even when human beings had very primitive transportation – no wheels, no horses or other beasts of burden and only the simplest water craft – they managed to trade with one another over sometimes quite long trade routes. Impressive. Of course, what those prehistoric merchants and their ancient and medieval counterparts did not have to deal with was a fantasy random encounter chart. Sure, there were storms and accidents, and probably some lions, tigers and bears, but no dragons, water elementals, genies, demons, devils or purple worms, not to mention large tribes of humanoids who might just as soon kill you as talk with you. Even a relatively weak demon or devil, immune to normal and silver weapons and with decent magic resistance, could destroy a large caravan protected by men-at-arms. When we take these factors into account, we can make successful journeys by 0-level or low-level humanoids very rare. In fact, we can make such journeys primarily the activity of mid-level adventurers, with side jaunts into dungeons and the like along the way. Imagine if the average kingdom maybe got visitors from neighboring kingdoms (those within 50 miles, we’ll say) once a year, tops. Visits from further away might occur once a decade, or once a century. People who were thought to be mythical – the two-headed purple folk of Hvaroo – might pull up one day in a large galleon loaded with spices and magic no living person in your home kingdom has ever seen, and will probably never see again in their lifetime! By doing so, we can create a world of very small clusters of settlements – kingdoms, of course, for in fairy tales almost every ruler is a king or queen – separated by tracts of very dangerous wilderness. The settlements don’t even need to be very far apart – two or three days journey with dangerous encounters in between can be enough to ruin an expedition, and each ruined expedition makes future expeditions more unlikely due to the loss of money, the loss of key personnel, etc. Each kingdom must largely rely on its own resources, agricultural, mineral, etc., and this means you can make certain resources or items the specialty of specific kingdoms. Maybe only a few kingdoms have armorers who know how to make full plate armor, most just stick to boring old chainmail or platemail. If you want the full plate, you have to travel. Likewise, certain gemstones required by material components – diamonds are mined in Vardak and since the trade caravans and ships sent there failed to come back, you have to go there yourself to get the large diamond you need to cast the magic spell to blah blah blah. You get the idea. Of course, we also need to ignore a little more reality and allow these petty kingdoms to develop a level of technology that would generally be impossible without trade. Hey – it’s fantasy. We can fudge a few things to get the atmosphere right. Rare trade means you get to populate your world with dozens of petty kingdoms with their own strange customs, laws and problems. Just as Australia developed some very unique animals due to its separation from other land masses, each kingdom can develop some pretty unique traits due to largely being cut off from the rest of humanity. Some random tables like the ones at Chaotic Shiny can help generate ideas – you can use unique royal titles (all hail the Grand Karnak of Carsonne), come up with one or two strange taboos (everyone knows you must not wear red in the presence of the Queen – off with their heads! ), give the place something to be proud of (in Falala we have the world’s foremost sage specializing in dragons ) and throw in some fun costumes (it has always been the way to wear hats upside down in Urnok), dialects, currency, cookery, etc. and travel becomes not only more interesting, but also easier to keep track of for players. A string of villages and towns that all have vaguely Medieval French names and customs might be hard to keep track of, but really odd kingdoms will stick in the mind.